It’s hard to find a real bargain on the forecourt these days, but this one is going to make a lot of customers – and dealers – very happy. 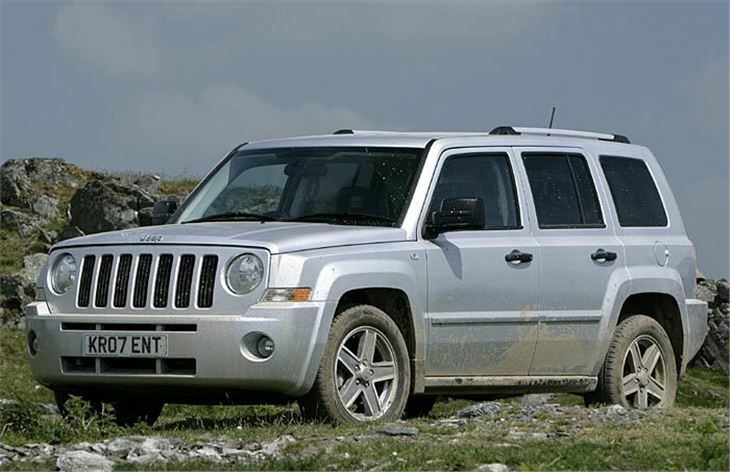 The Jeep Patriot is a 4x4 with almost the same dimensions as the Ford C-Max but more off-road ability than all the far-eastern SUVs put together. The iconic styling means it could only come from one manufacturer, but the surprise is the price-tag of just £15,995. 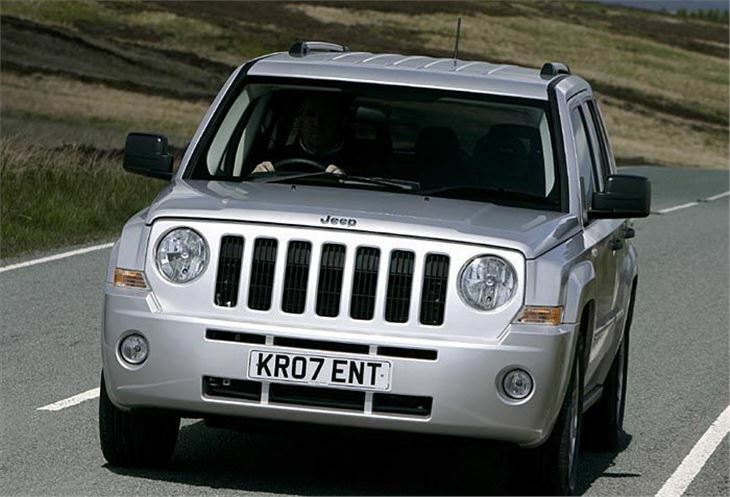 The Americans have spent the last few years being considered as an also-ran against the likes of Land Rover, particularly in light of the updated Freelander and Range Rover’s success. 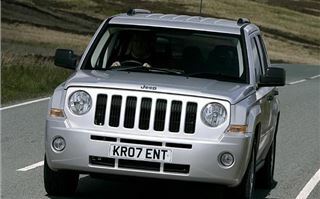 Some of the more ambitious newcomers to this sector, like KIA, have been making serious headway, whereas Jeep has been stuck in a rut associated with poor emissions and over-powered American muscle under an expensive bonnet. But its off-road heritage is undisputed and it’s just pulled a fast one in comparison to its siblings Dodge and Chrysler. The Patriot is a 4-door SUV with build quality as a priority and a price-tag to make it better value for money than any other 4x4 in the same sector. 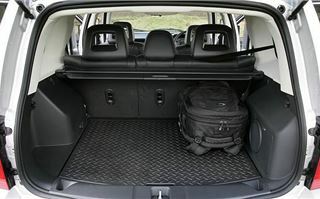 It’s 20 per cent less, like for like, model for model, than the equivalent RAV4 from Toyota, or CR-V from Honda. From start to finish, it’s hard to find fault. Under the bonnet, Jeep has smuggled in a couple of impressive engines. 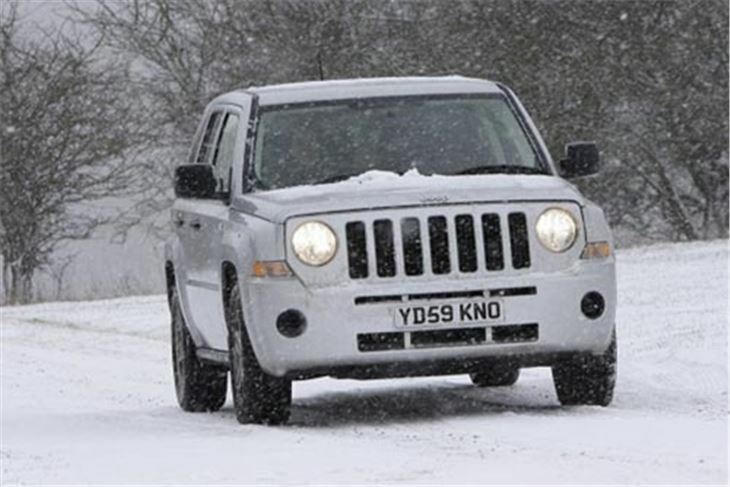 It’s not fair to say the 2.4-litre petrol engine is particularly economical but the belt-driven DOHC 2.0 litre CRD diesel will turn a few heads because, according to Jeep’s figures, 42.5mpg is what you can expect from average motoring. That’s a turn-up for the books, because Jeep owners will know these cars don’t have a great reputation for covering long distances on a tank of fuel. On test, the 2.0 CRD yomped past petrol stations like a squaddie on RedBull, turning in 41.5mpg on a long run taking in motorways and winding country roads in its stride. The 2.0 CRD is mated to a 6-speed manual box in two finish levels: Sport or Limited. The 2.4 petrol appears with the same specifications, but comes with a 5-speed manual and the option of a CVT automatic box in the Limited version. CVT boxes can give the impression of slow acceleration, as engine noise doesn’t vary, but 11.3 seconds (0 – 62mph) is about right, against the manual’s figure of 10.7 seconds away from the starting blocks. The 2.0 CRD suffers slightly from not being the quietest diesel engine on the road but, for the weight of the car it’s hauling around, fuel economy is good enough reason alone to fork out an extra thousand pounds up-front for this engine. CO2 is what you’d expect for both cars: 226 g/km from the automatic 2.4 CRD, but reducing to a more acceptable 180 g/km from the manual 2.0 petrol. 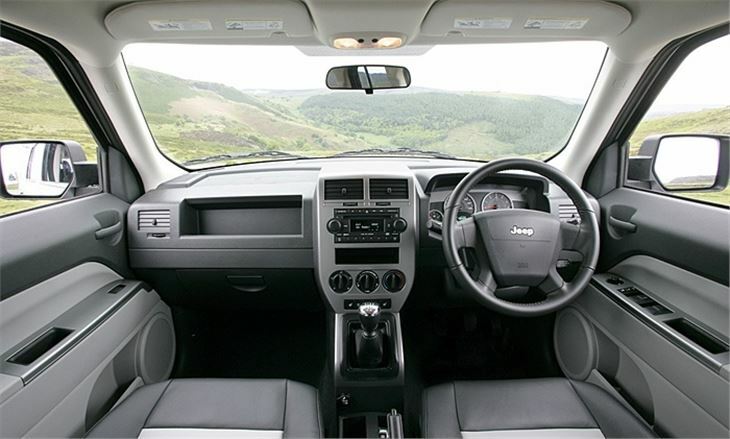 Inside, Jeep has kitted an interior beyond the expectations of most people buying in this price range. You won’t find plush acres of tanned upholstery and burred walnut veneer, but you will be guaranteed part leather, heated seats finished in a decent cow-hide from the middle of the herd as standard on the Limited version. 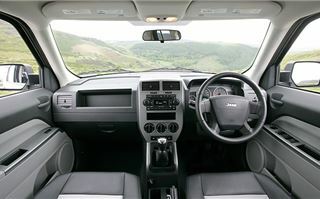 The list then includes air-con and colour-coded bumpers as expected, but goes on to add powered heated and folding mirrors, fold flat front passenger seats and 17” alloy wheels, right across the range. 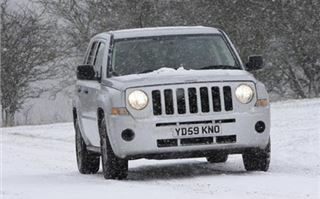 A half-decent AM/FM radio and single CD player is par for the course, and steering wheel controls and cruise control aren’t included on the Sport version, but the technical side of Jeep shines through across the board: ESP is standard, as is Electronic Roll Mitigation and Advanced Multistage front air bags. And then, there’s Jeep’s 4WD system. 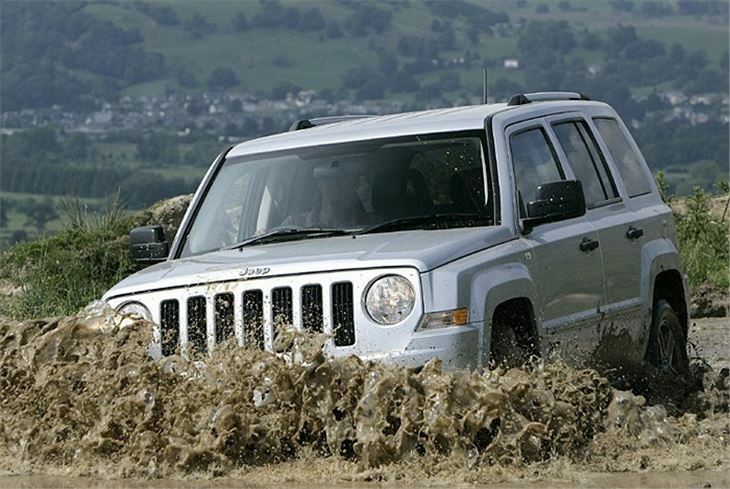 Jeep is good at this off-road lark. It was the pioneer of the sector, after all. 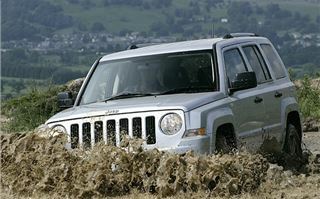 The Patriot uses Jeep’s Freedom Drive 1 System, which means a new button appears on the dash rather than multiple gear levers getting in the way. Selectable or permanent 4WD allows 100 per cent of torque application to any one wheel, which, in a nut-shell, means more off-road capability than you will ever need. Forget speed-humps in a supermarket car-park: the money you save on the sticker price should be invested in a few tanks of fuel so you can head to the hills and try it out dune-bashing or mountain-climbing for yourselves. 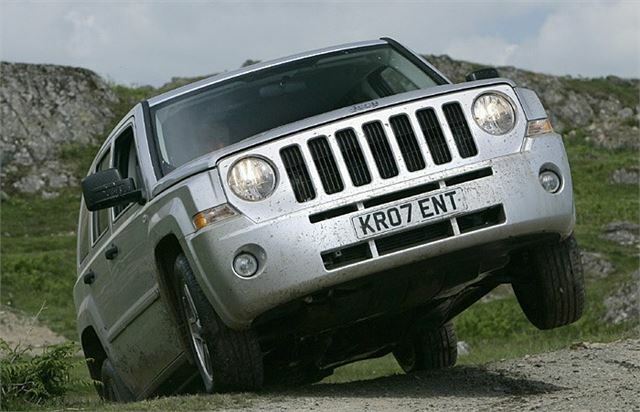 Once you start, don’t worry about stopping either, as Jeep’s adaptation of traditional ABS give an edge to its performance: kicking in a nanosecond after you expect it to means off-road ABS is a help, not a hindrance. 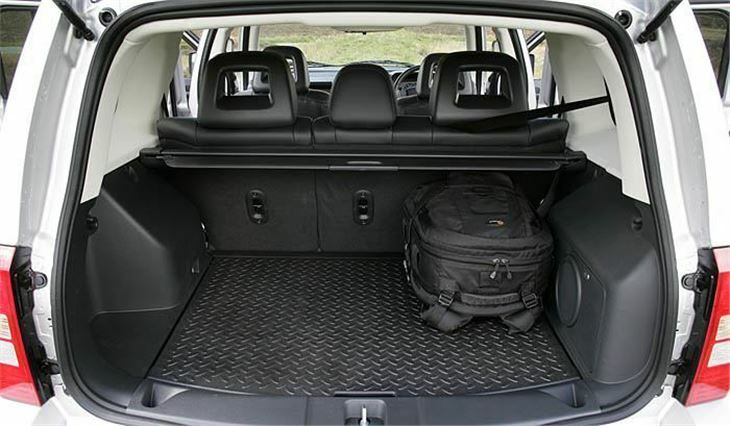 Adjustable seats mean it’s comfortable on long runs; good cargo space mean it’s a boon to carrying equipment, shopping or the in-laws; classic styling in the omnipresent 7-slot grille and round headlights confirm it’s still an SUV with attitude. Weigh up the pros of the bargain-basement starting price for the 2.4 petrol at £15,995 against the fuel economy of the 2.0 CRD at a slightly more expensive £16,995 by all means, but it’s hard to ignore the one simple fact that will have competitors checking their order books for a while. Jeep’s new owners, Cerebrus, has its priorities in the right order: It’s building good cars, at great prices. 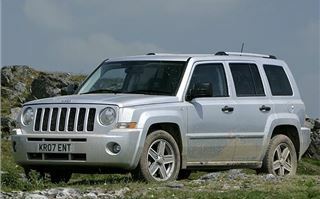 The Jeep Patriot’s a bargain.